FORUM 2019 : URGENCE DÉMOGRAPHIQUE ET URGENCE ÉCOLOGIQUE, QUELS URBANISMES DE TRANSITION ? Previous PostPrevious (Français) Forum International 2019 : l’appel a candidatures est lancé ! 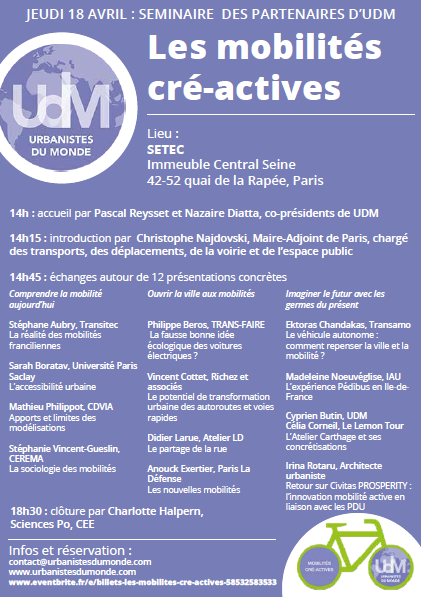 Urbanistes du Monde (UdM) is a Non-Governmental Organisation under French law. It brings together urban planners from the North and the South who have decided to actively collaborate on various missions, internships, exchanges, surveys, training, information.